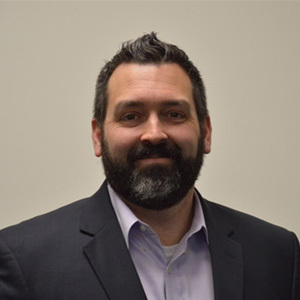 Josh Evans is the Chief Executive Officer of The Learning Source headquartered in Lakewood, Colorado. Follow them on Facebook and learn more at thelearningsource.org. The Learning Source has provided adult education programming, including two-generation family literacy, English language learning, workforce training, high school equivalency, and other programming, to support students and their families future achievements for more than 50 years. The Learning Source promotes and provides educational opportunities through collaborative partnerships for adults and families to support their future achievements. The Learning Source serves more than 2,000 adults and families annually and over our 50 years of service, we have served more than 60,000 people in the Denver Metro area assisting them in their educational journey to enter post-secondary education and the local economies of Colorado. Sister Cecilia, the founder of The Learning Source. Sister passed away a year ago but left me with the many memories of why we do what we do. There is nothing more powerfully impactful than providing education. It empowers, motivates, and turns potential into promise. Sister dedicated her life to the service of our Colorado communities. We do this for her and the thousands of students we see succeed and thrive after getting the support they need. My hopes for The Learning Source are to continue to grow and offer more programming across Colorado. The Learning Source serves 2,000 of the approximately 10,000 adults served annually in Colorado. But the need is great and funding is scarce. Currently, more than 400,000 individuals are in need of our services in Colorado. We hope to be able to provide each one with that opportunity in the future. The Learning Source is always working to increase its number of individual donors. As a donor of The Learning Source, you become a part of what we do. And if you cannot donate, come to volunteer. We have more than 120 volunteers in our classrooms helping students succeed. Join us! Funding is the biggest challenge for The Learning Source. Colorado ranks 48 out of 50 states in funding. We survive and grow by our communities supporting our mission and the good work we do. Slow down. Take the time to talk to those you wish to help. Find out what they need, not what you think they need. And, always focus on your employees. If you make sure they are supported, they will take care of your customers the way you want them to. Please go to thelearningsource.org and donate, volunteer or both! We need your help.